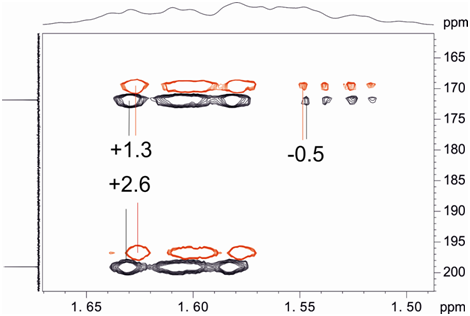 The measurement of long-range proton carbon coupling constants in natural-abundance molecules has always been a tranding topic for the NMR community. Despite the extensive number of NMR techniques that have been developed, there are still remain two unsolved problems pertaining to non-protonated carbons, namely, a) and accurate measurement of very small coupling constants (less than 2-3 Hz) , and b) the absence of a general and robust approach to determine the sign of the coupling. All these annoying drawbacks can be solved using the new selHSQMBC-TOCSY experiment. 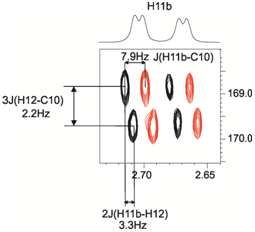 The method combines in a single pulse scheme all the benefits known for the widely used HSQMBC and HSQC-TOCSY experiments. 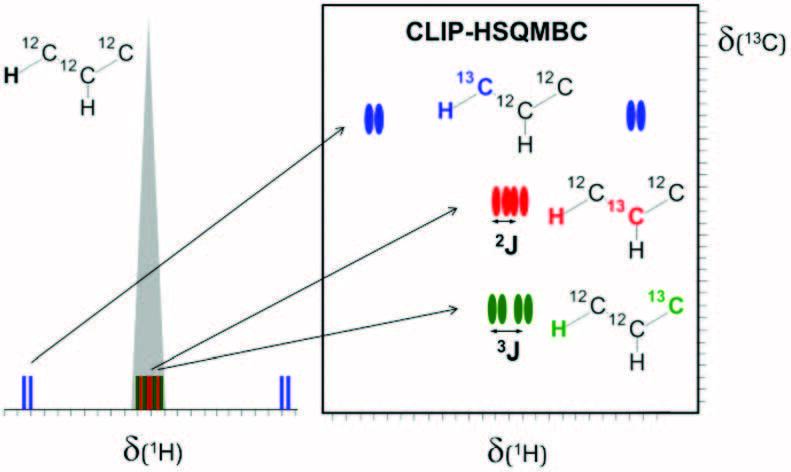 Thus, the experiment is able to measuring the magnitude and the sign of nJCH (n>1) with excellent accuracy and great simplicity by analyzing the relative sense of the displacement of IPAP multiplets in the direct dimension, showing particular interest to the application on quaternary carbons. Expanded area showing the overlayed α/β selHSQMBC-TOCSY spectra as vertically shifted red/black cross-peaks. 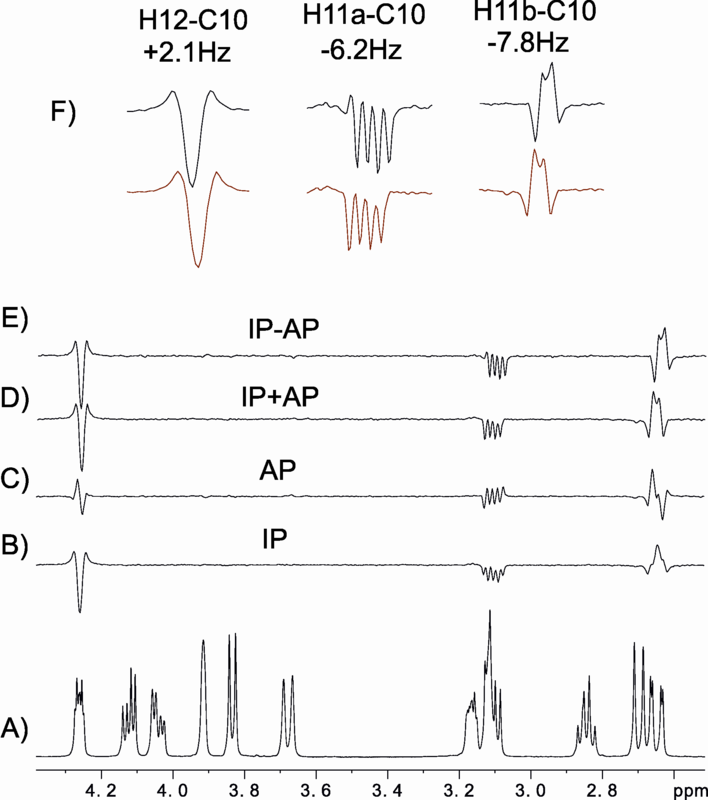 The magnitude and the sign of the coupling value are easily measured from the relative displacement between relayed α/β cross-peaks.